I’m extremely proud to be a member of Les Dame d’Escoffier, and am excited to share information about an upcoming event celebrating food. 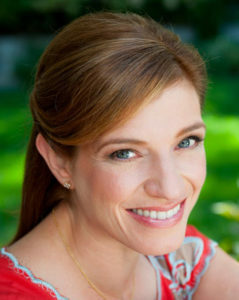 You may be familiar with the name Pati Jinich. She is the star of the PBS series “Pati’s Mexican Table.” Jinich will keynote the Les Dames d’Escoffier DC chapter’s Celebrating Food: Eleventh Salute to Women in Gastronomy Symposium, a one-day culinary celebration of all things food. The day of food begins with a talk by Jinich that will highlight her journey from political analyst to acclaimed culinary TV personality and Mexican food maven. To be held March 10, 2018 from 8:30 AM to 5:45 PM at The Universities at Shady Grove, the Women in Gastronomy Symposium will offer workshops and hands-on sessions with more than 50 speakers participating in 16 sessions that comprise food demonstrations and tastings, panel presentations and cooking classes. Guests will also enjoy a culinary EXPO that showcases new products and restaurant samples, a “tapas y tequilas” finale and a festival of desserts. Registration includes parking plus a continental breakfast and lunch. Les Dames D’Escoffier DC is a non-profit 501(c)(3) invitational organization of women leaders in the food, beverage, hospitality, and related industries who use their talents and influence for community outreach and through grants, mentoring, scholarship and educational programs, to help support women to succeed in these industries. Les Dames D’Escoffier International (LDEI) LDEI is the premier organization of influential professional women who are committed to the advancement of education and philanthropy in food, beverage and hospitality for the good of the global community.